I have discussed the term “integrative medicine” before and how it serves as a Trojan horse for smuggling untested or pseudoscientific ideas into academic institutions. Integrative medicine usually means mixing alternative therapies, by definition either unproven or disproven therapies, with conventional science-based medicine as if they were epistemologically or scientifically equivalent. It allows proponents of these therapies to make them more familiar to conventional doctors, which builds a sense of confidence in the methods independent of any research evidence showing they work. In academia, the push for integration of alternative therapies into the mainstream is also often cloaked in the language or evidence-based medicine. It is claimed that bringing “experts” in these methods into the university will facilitate sound scientific research to determine if they are truly safe and effective. While this is a noble idea, it is often put forward disingenuously by advocates of CAM who are already convinced beyond any doubt that their methods work and who have no willingness to abandon any of them regardless of what the evidence turns out to show. 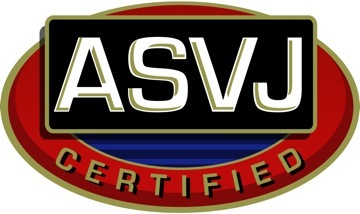 The leaders of the AHVMF have demonstrated repeatedly that their beliefs do not require scientific validation (e.g. 1, 2). It is quite clear that the real purpose of AHVMF grants is not to study CAM and identify both effective and ineffective therapies but to market CAM and develop scientific camouflage for ideas they have no intention of ever truly questioning. The University of Florida School of Veterinary Medicine is becoming a regular participant in the infiltration of unscientific ideas and practices into ostensibly science-based veterinary medicine. This is the second $10,000 grant the university has accepted from the AHVMF, the first specifically intended to support the school’s acupuncture program. There is a close and reciprocal relationship between alternative medicine advocates and the UF Integrative Medicine service which is much like the potentially problematic relationships often seen between universities and other private industries, such as pet food companies and pharmaceutical companies. In addition to the AHVMF funding, two faculty members in this program are also faculty at the Chi Institute, a leading organization teaching and promoting the pseudoscience of Traditional Chinese Veterinary Medicine (TCVM). And the school has a nutrition residency which is jointly sponsored by the Chi Institute and the pet food company Waltham. As is typical for integrative medicine departments, the University of Florida group tends to speak both the language of science and the language of alternative medicine freely, even when these contradict one another. The school’s statement on acupuncture cites many conventional mechanisms proposed to explain the possible medical effects of this therapy, including stimulation of nerves, releases of endogenous opioids and endorphins, and so on. These are certainly plausible hypotheses, though despite a great deal of effort they have not been consistently validated by research, so they are still unproven hypotheses. However, the same document employs the mystical, pre-scientific language of TCVM: “There are 361 acupuncture points located throughout the body on meridians. Meridians are the energetic channels that connect all the points to each other.” Unfortunately, acupuncture points probably don’t exist, and the “energy” referred to here is a vitalistic concept that serves no legitimate purpose in scientific medicine. Hemo-acupuncture is performed by inserting a hypodermic needle into a blood vessel that contains an acupoint to draw a few drops of blood. The purpose of this modality is to release heat from the body. Moxibustion is a form of stimulation that works by warming the acupoint and causing activation of the point. It uses crushed dried leaves of Artemisia argyi rolled into a cigar-shaped fashion. The herb is burned and then placed over an acupoint without touching the skin. The warming effect of the burned herb causes stimulation of the acupoint….Be cautious when using moxibustion in the summertime because it warms the body and might lead to too much heat. The Chinese approach to human disease was historically rooted in changing philosophies, including Daoist, Naturalist, and Confucian traditions. The relative popularity of these philosophies influenced the emphasis on certain Chinese medical concepts, such as the system of opposites (ie, yin-yang theory) and the natural relationships of organs in Five Element theory. Veterinary medicine has followed the homogenization of Chinese medicine for humans and is now an adapted and standardized mixture of the Five Element, yin-yang, and bian zheng systems. Modern transpositional meridians, or channels, form the basis for veterinary acupoint nomenclature but remain controversial because of associations with Five Element theory and traditional concepts of Qi (broadly defined as energy). 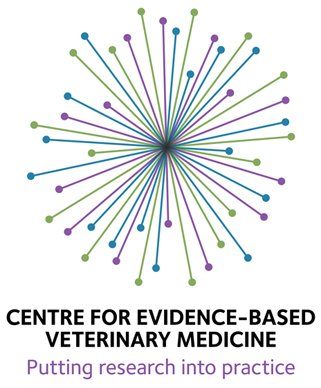 … detractors should acknowledge the widespread deficits in evidence-based medicine throughout the veterinary profession. Most of the academics involved in this sort of integrative medicine appear to honestly believe in the central role of science for evaluating medical therapies, though they often appear not to understand the philosophy or methods of science very well. They often contribute valuable and legitimate scientific knowledge to the profession in other areas. I don’t doubt that their desire to apply science and evidence-based medicine to alternative therapies is genuine. However, I do doubt their willingness to accept the invalidation of the methods they believe in and champion. It is rare for high quality scientific research to demonstrate an alternative therapy is truly effective unless there is a plausible mechanism consistent with a scientific understanding of nature to begin with. Most of the numerous studies sponsored by organizations like the National Center for Complementary and Alternative Medicine (NCCAM) find no benefit to patients. This would be a perfectly appropriate and legitimate application of science to these therapies if it led to the abandonment of therapies that are ineffective, and an improved awareness of the importance of establishing a plausible hypothesis before spending limited resources on clinical research. The reality, unfortunately, is that the rare positive studies are trumpeted as vindications, even when they are unreliable, and the many negative studies are ignored or rationalized away. When science is put to the service of advocacy for unscientific beliefs, the result is rarely good science or an improved understanding of nature. Given the obvious anti-science views of the leadership of the AHVMF and the Chi Institute, it seems likely that the work they sponsor will be much like that supported by CAM advocates in human medicine—unlikely to validate many therapies and even more unlikely to lead to anyone giving up on therapies that fail to be validated scientifically. So while I approve of legitimate scientific inquiry into any therapies that could possibly be beneficial, in which I include many herbal therapies, some manual therapies and even possibly acupuncture (though there, the light of hope is dim and growing dimmer), I fear that UF and other veterinary institutions will be influenced by the financial and ideological support of groups like the AHVMF and the Chi Institute with agenda’s that are incompatible with such legitimate scientific inquiry. Time will tell, but the lesson of such integrative medicine in the human medical field does not encourage hope that veterinary medicine will become more effective or more evidence-based by following this path. 3 Responses to The University of Florida’s Integrative Medicine Service: Good Science or a CAM Trojan Horse? I hope to god they use some of this money to campaign against bear bile farming and the cruel use of all other animal ingredients from tigers, rhinos etc etc etc, with their wretched traditional chinese vetrinary medicine. Ok, florida Tennessee and Colorado vet schools get in line for the USA quackery awards. Which usa vet school “measures” the most evidence based? Ohio State? How about foreign vet schools? I put a smiley face after the word Ohio State but it no showed in my post. How about a vet school who will dialogue with the public about these “Trogan Horses” ? When the fla vet school shows up at our palm beach county required by law florida veterinary CE to ask for donations and referrals there is no conversation about why refer to the vet school when there are private neurology practices to refer to that do not needle patients.